Vitamins created just for you! The Future of Personalized Nutrition is here! 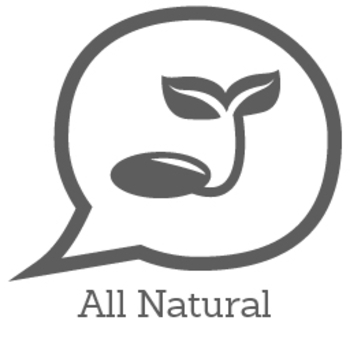 Vitamin Packs is a one-stop shop for all of your personalized high-quality supplement needs. 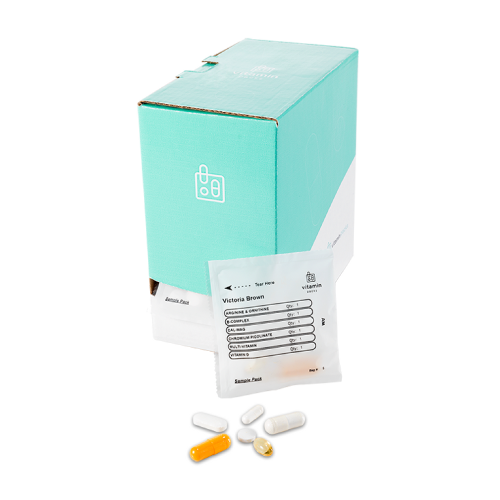 By taking their 3-5 minute unique questionnaire, they eliminate the guesswork of which vitamins are right for you. Sage, the nutritional algorithm Intelligence, uses the knowledge of science and your unique answers to provide you a customized vitamin supplement recommendation. They ask about your diet, food allergies, exercise habits, health conditions and even your medications. Did you know some medicines should not be taken with some vitamins? And some medications can deplete your body of need nutrients? Vitamin Packs makes sure your body gets what it really needs. Your 28-days supply of vitamins arrives in daily dose packets with designated times of day to take them as well as a complete set of informational sheets for each vitamin. No more confusion or an overwhelming trip to the supplement aisle. Vitamin Packs also donates 1% of the total proceeds to Vitamin Angels. I was not able to try these as I have a hard time swallowing pills and these pills were way to big for me. I have heard great things about them so I gave them a 4 stars rating and it would have been 5 if the pills weren't so big. 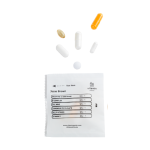 I have enjoyed using these personalized Vitamin Packs for 28 days, the interactive questionnaire about my health and lifestyle was very helpful in determining which supplements are most beneficial for me. The AM, Noon and PM doses were quite easy to remember (even comes with a travel case for convenience), especially since I set alarms on my phone specifically for super busy days. I really like that the capsules are vegan and vegetarian (displayed in the booklet for more detailed information) and that the supplements meet FDA guidelines, which is important to me. 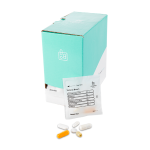 I also like how each dose has the assigned time printed on the pack and the details of each included supplement. The vegan multi, turmeric extract, rhodiola, probiotic 100+ and enzyme complex capsules were the most beneficial for me. Though the vegan DHA, pycnogenol, vitamin D 1000, calcium/magnesium and circulatory support are extremely helpful as well. Many of these supplements I would've never considered/known about or researched if it hadn't been for personalized Vitamins Packs, which makes me glad that I gave them a chance. I sleep better now, feel more rested, my joints move more easily and I am less stressed out, as well as, feel pain less intensely since taking these customized supplements for the past month. Though, for best effect, I do suggest taking with a meal or snack to prevent upset stomach or slight nausea. Great mix of vitamins for me, everything a woman needs to stay healthy. I usually take a multivitamin for athletic women and this was just as good.